Thermal water of Kováčová is known for its healing effects especially on the movement apparatus. The new Holidaypark Kováčová is a popular place for relax exactly because visitors can enjoy effects of the healing thermal water and at the same time to have fun in pools. Indoor pools with water temperature from 32 to 36 °C are open during the whole year, as well as outdoor pools with water temperature to 38 °C and there are also pools open during the prolonged summer season. Pools contain various hydro-massage components such as water-shoots, water jets, bottom air geyser and separate large whirlpool pool. The indoor part has 60 m long water slide with measuring device and lighting and sound effects. The indoor part of the aquapark also includes quick-service restaurant and wet bar directly at the pool. In summer several catering facilities are open around the whole premises, visitors can use playground for beach volleyball and children can play on the children playground. 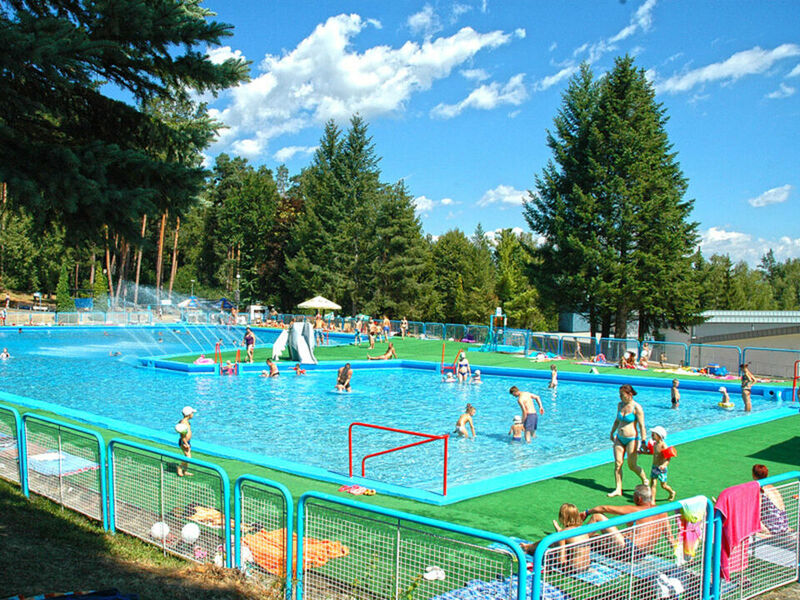 The Holidaypark offers visitors regular activities such as aqua aerobic, aqua dance, exercises with a physiotherapist or swimming babies.